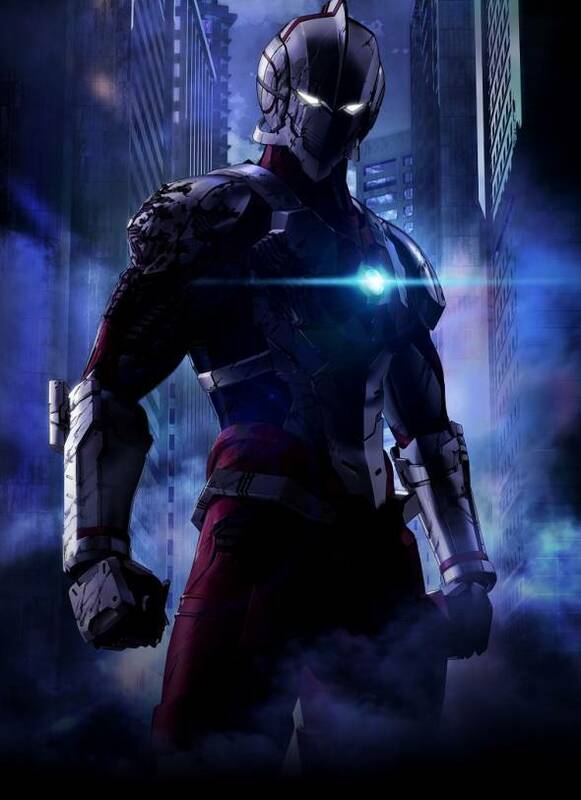 Ultraman first key visual was just released and fans are going crazy. If you don’t know what Ultraman is then you need some education. Ultraman is a Japenese science fiction TV series created by Eiji Tsuburaya. Ultraman was a follow-up to Ultra Q even though it was not its sequel nor a spin-off. Tsuburaya Productions produced the show. The show was broadcasted in Japan during 1966 and 1967. Ultraman was a big hit in Japan. And later it gave birth to many spin-offs, imitations, and rip-offs. One popular rip-off from Ultraman was Power Rangers. Some created parodies while some created tributes to it. If you think about it One-Punch man seems like a gag inspired by Ultraman. The series was announced during Comic-Con 2017 in Tokyo. An anime adaptation is set to be released in 2019. The adaptation is being made from the manga written by Eiichi Shimizu and Tomohiro Shiguchi. Production I.G. and Sola Digital Arts will be working on producing the anime for us. How will the old fans react to this new Ultraman? That is yet to be seen. One thing I know is that this poster is looking pretty good. And I am very hyped to seeing more details behind this anime. The series is being directed by Kenji Kamiyama (Ghost in the shell stand alone) and Shinji Aramaki (Appleseed alpha). The series will follow the story of original Ultraman’s son as he battles his enemies. Not much is known yet about the story details. However, we can safely assume there will be monsters, alien invaders, and supernatural phenomena. As that is what the original Ultraman was all about. His father as a member of the scientific special party saved Earth on countless occasions from the invasions of Kaju. And ever since the world has been at peace. However, evil always lurks and resurfaces. With new foes, a new hero is needed to save the Earth. In the upcoming anime, we can expect to see Shinjiro. As he goes on his journey from discovering about his fathers past. And then learning all about his new powers. The threat upon Earth will certainly be greater than ever. Will Shinjiro be able to follow into his father’s footsteps to save the earth? That is something I am looking forward to seeing. This anime has a lot of potentials so I will stay tuned in with the details for it and eagerly anticipate it. Its just sad I didn’t watched all series and even the very first one. I hope the new series is good. The art looks super cool, DC comics level. Maybe be we will be seeing a manga comic hybrid very soon.